Have You Worked For Our Incoming Labor Secretary's Fast Food Empire? Do you work at Hardee’s or Carl’s Jr.? We want to hear from you. 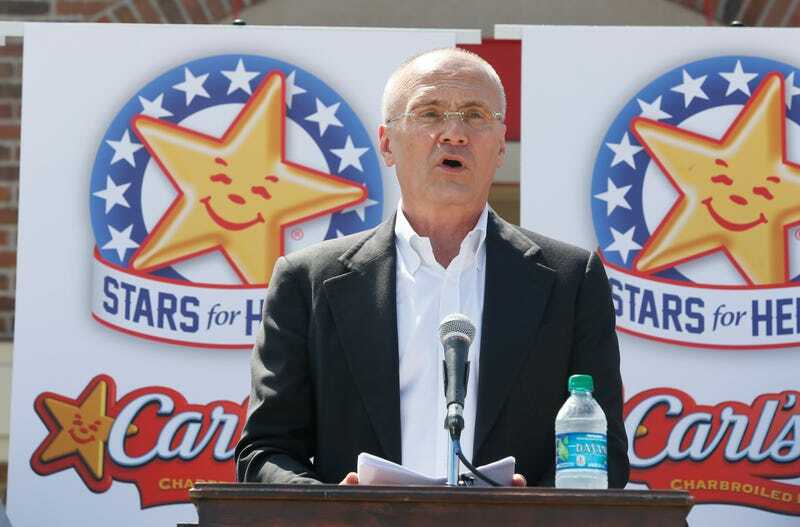 As you may have heard, Donald Trump’s nominee for Labor Secretary is Andrew Puzder, the CEO of CKE Restaurants, owner of thousands of Hardee’s and Carl’s Jr. fast food outlets. Puzder is known for his embrace of automation in the restaurant industry, as well as for his opposition to significant increases in the minimum wage. Already, some of his employees have spoken out on their working conditions—in particular, accusing their employer of wage theft—and have protested Puzder’s nomination. But since CKE oversees more than 70,000 employees in our country, there is always room to hear more. What could be more instructive as to the character of a possible Labor Secretary than how he treats his own workers? Puzder’s confirmation hearing is currently scheduled for February 2. We would like to hear from current and former Hardee’s and Carl’s Jr. employees before then. (Puzder became president and CEO of CKE in 2000, so we would like to hear from people who worked for the company since then.) How are your working conditions? Are you paid accurately and on time? Does your employer follow the law? How well is your restaurant managed? Are there any systematic problems in the way that your workplace is run, or is it run well? Email me. Please let me know when and where you worked for the company. All names will be kept anonymous if we publish any of your story.